Supreme Court orders cooperative flat owners in Noida to register as per new circle rates. NEW DELHI: Cooperative housing societies in Noida were dealt a major blow on Wednesday when Supreme Court ordered individual registration of their flats as per the prevailing circle rates. According to the Uttar Pradesh stamp department, the judgement would affect around 15,000 flat owners and leave the government richer by roughly INR 100 crore. A special bench of justices Dalveer Bhandari and HS Bedi passed the direction while dismissing applications byArmy Welfare Housing Organisation and others challenging the Noida Authority’s decision to recover stamp duty on the basis of current rates. According to counsel Abha Sharma appearing for several flat owners, the decision would cause a liability ranging from Rs 2 lakh to Rs 3 lakh in stamp duty, which was the original cost of construction of houses in 1992. The high registration fees are a result of the real estate boom of the last decade. For instance, a three-bedroom flat in Noida that cost Rs 11 lakh just 10 years ago now costs at least Rs 60 lakh. Shaken by the order, the affected societies on Wednesday said they would appeal to the court to review its decision. Noida Authority and Builders Hope for Solution. Allahabad High Court is have given Noida Authority time for 02 weeks to sort out the crisis with farmers. The authority have now time to sort out things with farmers, builders and buyers which is a positive intervention. This is providing a window for renegotiating and thus may result in solving issues between all and comes out with a solution that protects the interests of all – buyers, farmers, builders and the state. Balwinder Kumar the Chairperson of Noida Authority said, that the authority has announced its willingness to negotiate with Noida farmers. The CEO Rama Raman says, the court’s direction are welcome and they will immediatly start talking to the villagers. The Authority now wants to reassure the aggrieved villagers that we are on their side, and willing to sort out all their issues. The court directions will benefit all the involved parties. All are hopeful that the Authority will sort out the land row at the earliest. In Noida extension land buyers woes know no end. The Allahabad court quashed acquisition of about 600 hectares of land in village Patwari. Almost 20,000 buyers have been affected. But the damage caused is huge. The court deferred its hearing on a petition till July 26 challenging the acquisition of 466 hectares of land in Roza-Yaqoobpur village. The GNIDA will have to dig up two important inter-city road links and make the stretch fit for cultivation. The authority will not be able to build its Metro line from Noida to Greater Noida via Noida extension. The CEO Rama Raman, GNIDA, confirmed the undoing of the road links and shelving of Metro project. GNIDA has so far spent INR 1500 crore in Noida extension in terms of development to its infrastructure. The common catchphrase is, when roads have to be dug up and returned then why build one? The Deputy CEO Akhilesh Singh of GNIDA said, 70% work on Greater Noida – Noida road which is 130mtr wide and 28 Km long is over. The link was even operational in patches. But since it passes through Shahberi, Patwari and some other villages, so this road might have to be returned to the farmers in the form of agricultural field. Similarly, the Greater Noida – Ghaziabad road which stretches 60mtr wide, 22 Km long will have to be undone as its land also falls within the affected areas of Noida Extension. Greater Noida Buyers Left in dilemma. Over 5000 middle class buyers of Noida Extension apartments are in terrible situation. They are the sufferers of the conspiracy of the developers and Greater Noida Industrial Development Authority. Buyers were never told that the land was the subject of the court dispute. Now the buyers are in the dilemma. Either they have to bear the interest on the loans they had taken from the banks or agree to the terms of the builders who are suggesting them to take flats of any other project. The buyers are seeking refund but the buyers says they will deduct the penalty and refund the amount. Also, the banks are not ready to refund them the interest buyers have already paid for the loans taken. This is a double whammy for the buyers as many of them have invested their life time savings to purchase their dream home in Greater Noida. Bankers have suggested buyers to relocate to a new project of the same builder so that the buyer don’t lose on the interest amount, but this would be completly on the mercy of the builder, they would charge current rates which are high and may not give any discounts. Forget about the lifestyle the buyers were dreaming. In these circumstances, buyers have no other option but to go to the Supreme Court. The lawyers are also suggesting buyers to settle down with the builders but some of the lawyers are ready for court. Those who have invested their hard earned incomes and life-time savings in buying houses should definitely get justice, they deserve it. This mess is created because of the GRIDA and the developers, then why should the buyers suffer. NOIDA: The farmers in the Noida Extension announced that they simply want a better deal for their land, not the land itself. Striking a sympathetic note for buyers, the farmers said they wanted a solution to the problem rather not to hurt home buyers . The Panchayat at Khairpur village on Tuesday , what emerged was a frank acceptance that the acquisition of their land was a done deal . The elders acknowledged that young people in their villages were not keen on a return to the farming days , and the result of trying to turn the clock back now would be a colossal waste for all parties. 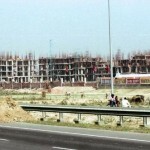 Massive construction has been done in several villages in the Noida Extension area . As a result , the land has lost its fertility and getting it back does not make any sense. The mixing of concrete with the top-soil had made the land infertile . The farmers and the home buyers both are suffering on account of the government’s mistakes. The farmers do not have any problem with home buyers , who booked their dream homes in Noida Extension . They want a solution which will also benefit the buyers . At the end of the day, they are also being harassed by the so-called policy makers of the UP government. “A Khairpur resident said, “When our land was acquired , we thought we would be paid handsomely . That’s why nearly 82 % villagers accepted the compensation . But after acquiring the land , the authority treated us shabbily , and we were paid paltry compensation”. “Farmers basically want 50% of their acquired land developed (with water , power supply and sewage lines ) and returned to them . Other than that , we are demanding 80 % of the market rate as compensation , and plots to landless farmers”. The developers of projects of Noida Extension will be refunding back money with interest to the buyers. The have also offered to shift buyers to their other projects being launched in the same area. A bench of Justice G S Singhvi and Justice A K Ganguly has taken into consideration the plea of the people who booked the flats in these housing complexes which were being build by the seven builders. The court has made clear to these builders that they have to refund back the full amount with interest to the buyers. The builders clarified that the full refund offer was open to all those buyers who had booked flats in housing projects of Sahberi village, where Noida authority had alloted land to builders without completion of the legal and acquisition process. Buyers seeking full refund outside that village will have to bear the cancellation penality as to they have to follow proper rules. A spokesperson of CREDAI said, inspite of no fault of builders they are also being affected, but have decided to bear the loss and return full money with interest to the buyers. 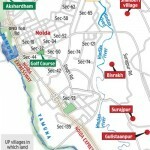 However, the builders are yet to get clear intructions from the greater noida authority on which portion of land comes under Sahberi village, which will take another two weeks. After that, developers will send formal letters to the affected buyers for option of shifting to other projects or full refund with relevent interest. Buyers of Houses in Noida Extension on Roads for Full Refund. The buyers who had invested their money in houses which were to be constructed in Noida extension have come out over the roads to plea the Supreme court for their justice. The builders who have been affected with SC’s decision are refunding money to buyers but after certain deductions. The buyers are the most affected ones because of this decision. The buyers have moved on to the roads to demand justice for the same. They are requesting the Supreme court to make a statement to builders to refund their entire money without any deductions. The builders have intimated the buyers that if they want to take back their money for their properties those are booked in Noida extension then they will have to bear some charges, for which the buyers disagree. These deduction means approximately 2 lakhs of the amount would be treated as cancellation penalty for a flat. So, the buyers are demanding justice from the Supreme Court. The Investors and the buyers are in panic after the decision of Supreme Court came up, of upheld the Allahabad High Court judgement. They are under huge shock as the judgment had rejected the possession of over 156 hectors of land for developing a township in Greater Noida or can say Noida Extension. Supreme Court’s judgment jointly comprising of Justice G.S. Singhvi and Justice A.K. Ganguly has given a set back to Mayawati’s government and the builders. About 6,000 buyers have been affected by the judgment of the reverse of the projects and the developers will take steps to compensate the buyers by shifting them to other projects or by refunding them the money. However, buyers are in a complete state of panic as developers are very sure of themselves as they say their projects are safe. For instance, Mr. Pandey booked a house in November 2010, in Mahagun Mywoods project. The developers are sure their project is very much safe but the buyer wants his money back but the developer says if they cancel the booking, 10% of the booking amount will be levied as cancelation penalty. This would be approximately INR 2 Lakhs. Other buyers too have similar opinions. The Supreme court had upheld the order of Allahabad High Court that had nullified the possession of Greater Noida Authority of land of Greater Noida in Shahberi Village. Also, Supreme Court had imposed a fine of INR 10 lakh on the Greater Noida Authority. 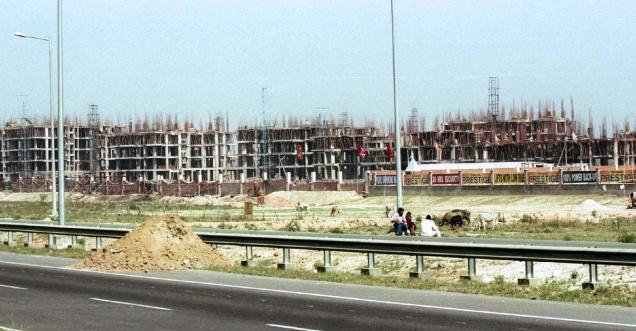 The SC said the Greater Noida Authority bought lands from farmers for industrial projects but later they changed the land usage to residential projects which is a complete act of violation of the purpose of the land. The SC’s decision is likely to affect several builders – Amarpali, Ajnara, Mahagun, Supertech and Panchsheel. On the contrary, Supertech Limited has not launched or sold any project on the land falling in this village. This village is closest to the project Eco Village2 but the current land of this project does not belong to this village. 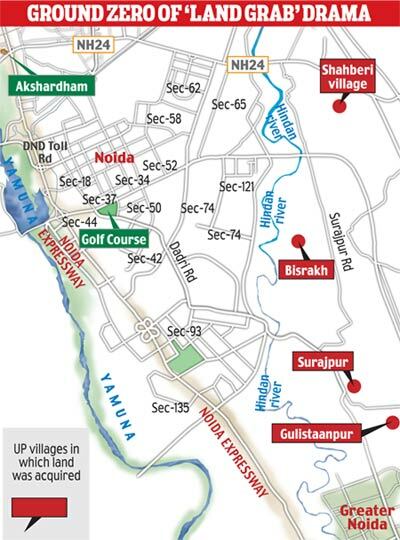 Construction is on for all the 3 projects – Ecovillage-1, Ecovillage-2, Ecovillage-3) in Noida Extn. Thus all the investments are fully safe and project would be completed on time. The Ecovillage housing are affordable with starting price as 9.85 lakhs. So, Noida Extension’s loss will yield an unexpected gain for other locations such as Noida, Indirapuram, Vaishali, Vasundhara and Raj Nagar Extension? Inflation and peaking cost of raw materials have started denting in the balance sheets of the real estate firms here. In spite of bleeding balance sheets and dipping return on investment, the firms here commit that they will give the housing units to the buyers at the booking price only. KC Naik, president, Mangalore chapter of the CREDAI, says there is a boom clause in the agreement with the buyer but he has not used it till now. His firm Mahabaleshwar Promoters and Builders is currently executing two projects of 260 housing units and will inaugurate another two projects soon. “We have been in operation since the past two decades and not even once we have used the boom clause in our favour,” he said. His idea is to accelerate the completion period of the project when cost of raw materials start going up. All houses are not sold at one go. So the first buyer is the lucky one who will get it at the lowest rate. It goes by INR 100-200 per sq ft subsequently. The ROI is dipping and builders are losing 10-15 pc on the projects. In the past six months, the prices of sand, cement, steel and flooring tiles have increased from 20 pc to 100 pc. Prices of rough sand, used for construction of slabs, is up from INR 8 per cubic feet to INR 16. Fine sand used for plastering has gone up from INR 9 to INR 18. Adding to the woes is the scarcity of fine sand. Likewise steel is up by INR 33 to INR 40 to INR 45 per kg and cement from INR 250 to INR 310 for a bag of 50 kg. Flooring tiles has also increased from INR 33 to INR 38. The UAE federal government has approved and declared the extension of visas for real estate investors from 06 months to 03yrs. This decision was taken at Cabinet meeting chaired by vice-president and prime minister of the UAE and the ruler of Dubai, Sheikh Mohammed bin Rashid Al Maktoum. To boost the struggling real estate market and also investor’s confidence. “The government took a range of measures as part of its efforts to shore up economic growth within its strategic plan 2011-2013, including extension of visa for real estate investors to 3years instead of 06 months. Presently, foreign owners of property worth more than AED 1million are eligible to get a 06months visa, which should be reviewed every six months.